Here are our interns for the 2016 tax season. Business standard mileage rate correction. Expect an information return if you book home rentals through an online service. IRS Commissioner expects improved taxpayer service this year. W-2s, 1099s, and DE 542 reminder. California FTB wins Gilette decision. Visit our new article: No B.S. Guide to Direct Response Social Media Marketing. 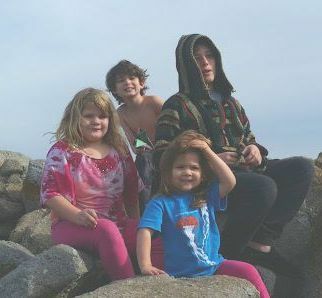 Here are my grandchildren, Kara, Clive, Minerva and Kyan, at Lover's Point at Pacific Grove, CA. My grandson, Clive Baker, is celebrating his birthday this month. Happy birthday Clive! My wife's sister, Gail Johnston, and her husband Lane are celebrating their wedding anniversary this month. Congratulations! Here are Siyu and Prashanti!. Welcome to our interns for the 2016 tax season. 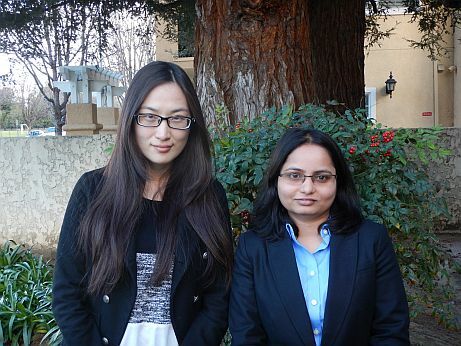 Siyu Zheng and Prasanti Mishra are Masters of Science in Taxation students at San Jose State University. Siyu is scheduled to graduate during the summer of 2016 and Prasanti is scheduled to graduate in June 2016. Siyu also earned a Master of Arts in Applied Linguistics and Foreign Linguistics and Bachelor of Arts in Business English at university in China. Prasanti also earned an MBA and a Bachelors degree in Biotechnology at university in India. Siyu enjoys playing ping pong (table tennis). Prasanti enjoys going to the movies. The 2015 standard business mileage rate for 2015 was in error in our last newsletter. The rate for 2015 was 57.5Â¢ per mile. The rate for 2016 is 54Â¢. The rate for 2014 was 56Â¢. (That's where that amount came from.) Sorry for any confusion caused by the article. Airbnb and VRBO will be sending Form 1099-K to people who received rent through their online reservation services. If you haven't received a tax data organizer or instructions to submit information using the Tax Notebook and want us to prepare your income tax returns, please call Dawn Siemer at 408-918-3162 on Monday, Tuesday or Thursday. The IRS finally received some additional funding in the recent Tax Extenders legislation. The IRS plans on spending some of those funds improving taxpayer service. They are hiring up to 1,000 additional customer service representatives to answer the toll-free help lines, and expect to answer about 60% of taxpayer calls, compared to 40% last year. California FTB wins Gillette decision. California's Supreme Court reversed the decision of an appellate court and ruled that California was not bound to allow an equally-weighted three-factor formula for apportioning taxable income of multi-state businesses. The court said the Multi-State Tax Compact was not binding on the member states, but was essentially a model law that member states were free to follow or not. The was no enforcement mechanism or authority to ensure that member states complied. More than 1,300 protective refund claims were filed after the appellate decision. Those claims will be denied. Any business that relied on the Multistate Tax Compact and used the equally-weighted three-factor formula on an income tax return should amend the tax return and pay late-payment penalties plus interest for any tax deficiency. March 4, Peter Moss, Wymac Capital, Inc., "Mortgage market update"
March 11, Phil Price, EA, The Price Company, "Qualified retirement plans for small businesses"
March 18 and 25, Richard H. Lambie, professional fiduciary, "The role of the professional fiduciary"